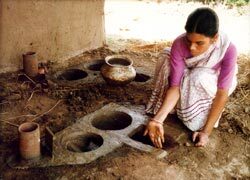 In 1985, the Union ministry of non-conventional energy sources (mnes) introduced improved chulhas (fuelwood-based cooking stoves) to primarily conserve forests, reduce pressure on rural women who collect fuelwood and to protect their health against indoor air pollution. Called the National Programme on Improved Chulhas (npic), it formed a part of the 20-point programme as well as the minimum needs programme of the government of India. More than 30 models of chulhas were developed during the last 17 years and around 34 million chulhas were installed by 2001-2002. So when mnes suddenly disbanded the programme in April last year, it caught everyone by surprise. The decision evoked a simple question: why was it stopped? On the face of it, the answer lies in the recent evaluation of npic by the Delhi-based National Council of Applied Economic Research (ncaer). The evaluation stopped short of rating the programme a failure, but fuelled an intense debate over the effectiveness of the programme. Observing the lack of people's participation and rampant corruption, the report recommended a complete overhaul of the programme both in context and content. According to ministry sources, at least 70 officials have been suspended after the report was submitted to the mnes in September. Some corruption cases have also landed up in the office of the Central Vigilance Commission (see box: Doused!). ncaer's evaluation is the third in a decade: it was done earlier in 1988 and 1995-96. The recent one is the most extensive, given its sample size and the geographical area covered. The latest study, carried out in 2001 and collated in 2002, surveyed 10,000 households with improved chulhas and 2,000 households without the chulhas spread across 25 states. "The current survey is crucial as the programme is at crossroads," says R K Shukla, project leader of ncaer survey (see interview: Target-chasing). Interestingly, the ncaer study was commissioned by mnes reportedly to obtain more funds for the programme. But even before the recommendations of this 178-page report could be incorporated into the programme, the government disbanded it. "The decision was definitely not as voluntary as it seems," admits a senior mnes official. However, K C Khandelwal, advisor, mnes, says that the programme has not been disbanded and is set for reformatting in its funding pattern. "We realised that the programme has done much demonstration of the improved chulhas (ICs) and now it must take a concrete shape as an utility-based programme," he says. But this is only one side of the story. Here's a reality check. When mnes prepared its estimate for the 10th Five Year Plan, no fund was allocated to the programme. Officially, mnes says that npic will be handed over to state governments or to panchayats directly. "The state governments should takeover the programme now as we have demonstrated the utility of ics," says Khandelwal. 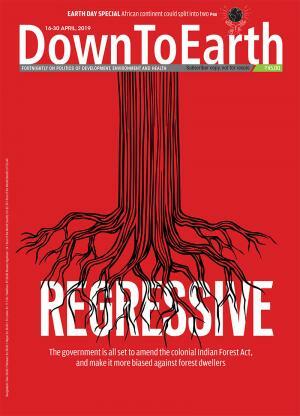 After washing its hands off the programme, mnes has put the ball in the Planning Commission's court. The Planning Commission, on its part, has neither taken a decision on the future course of the programme nor is it sure as to how to channelise the funds to the states or panchayats, as suggested by mnes. It is now up to the chief ministers of all states, who will meet at the National Development Council in June this year, to approve the plan. Till then, the programme's fate is uncertain. Burnt out The evaluation has shaken the foundations on which the programme was built. Most people found improved chulhas wanting in a number of ways. Around 50 per cent found only a marginal saving in fuelwood consumption, 24 per cent felt only a perceptible change and 10 per cent said that fuelwood consumption had, in fact, increased, thereby debunking the primary purpose of the programme. As far as health impact is concerned, some 50 per cent beneficiaries said there was only a marginal difference in the elimination of smoke. The programme suffered from three major lacunae: it failed to identify the targets households; people's participation was so poor that it couldn't be made sustainable; and that it suffered from lack of interest from state governments. In Maharashtra and Karnataka, the programme did well at least in its spread and sustainability only because of the interest taken by the governments (see box: Fanning the embers). There was little effort to train people about the uses and benefits of chulhas: only 27.2 per cent households were trained -- and that too at an average 1.6 hours, instead of the stipulated full-day training. In Uttar Pradesh, Andhra Pradesh, Tamil Nadu, West Bengal, Madhya Pradesh, Mizoram and Tripura, hardly seven per cent beneficiary households got training. Worse, in Himachal Pradesh and Sikkim, none of the beneficiaries got training. This reflected on the sustainability of the programme: 24 per cent households were not using chulhas and in 19 per cent households, chulhas were dismantled. Madhya Pradesh, Gujarat, Rajasthan, West Bengal, Uttar Pradesh and Karnataka were among the worst performing states. Though a very gender-specific programme, it failed miserably to convince women about chulha benefits. Nearly 40 per cent households felt that lack of interest from women determined the programme's performance. They held the self-employed workers (sews) -- key implementers of the programme at the village level -- responsible for not following the standard dimensions during installing and monitoring ics. Not surprisingly, around 14 per cent households had switched over to other cooking devices like lpg and Kerosene. The implementing agency must provide free ic maintenance up to a year after installation, but arrangement of such services was not very encouraging. Hardly 16 per cent households were regularly visited by sews. In other areas, the frequency of visits was irregular. Reason: non-availability of sews in areas where problems were detected. "Most ics owners belong to weaker sections of society and were therefore not ready to take pains to go far for contacting them, leaving their routine works," pointed the report. About 84 per cent households reported there was no official available for consultation. Around 89 per cent households did not know whom to contact for repairs. sews' lack of commitment was evident as funds from the state government to the district and block level come only at the end of the year sews remained unemployed for close to nine months every year. Only 17 per cent beneficiary households reported the availability of hardware material in nearby market. The survey found that improved chulhas are also not fuel efficient: 35 per cent complained it takes more time to cook, and 34 per cent stated that it consumed more fuel. This is crucial as improved chulhas were billed as stoves that cook efficiently in less time. Thirty per cent households gave cumbersome cleaning of the chimney as another reason. Unlike traditional chulhas, it is necessary in the case of ic to cut the wood fuels to specified sizes and feed them continuously. As a result, the average dropout rate was about 17 per cent. There was no significant variation in this rate during all the years of the survey period at the all-India level. When surveyors asked, "if the present chulha is broken, will you install another chulha?" only 16.6 per cent of the owners showed willingness to reinstall. But to a question that if the chulha comes with longer life, no smoke and less fuelwood uses, a whopping 87 per cent responded with an emphatic 'yes'. The report says that the programme failed to understand the complex village psychology as far as fuel consumption is concerned. "Villages still do not understand the cycle of energy generation, or perceive energy as a problem area," the report observed. This lack of understanding, or call it the lack of perception, is one of the major impeding factors in the involvement of villagers in any social welfare programme, added the report. Prescribing a decentralised approach, the report suggested micro-level planning to cater to area-specific needs. For this, wider participation of panchayats, voluntary and non-official bodies, institutions and establishments of self-managed organisations and other appropriate people-oriented arrangements wherever feasible have been recommended. Analysing the unsustainability of the programme, the evaluation report has recommended that states should first identify the potential areas and prepare a long-term working plan for at least five years before adopting the programme. Currently, the programme is target-based and almost all states have reached the stipulated target in installing ics (some of them have also crossed their target). Recommending against such practice it said: "Each state may limit installation to the extent possible keeping in view the quality and available infrastructure facilities with them." Households using ICs have not found the programme as substantial as it should be. This, according to the survey, is mainly because of two reasons: faulty construction and poor maintenance. Saying that giving subsidy has been made the sole incentive to adopt ICs, instead of its real benefits, the report has strongly recommended change in the current subsidy mechanism. "Chulha subsidies should not be used to create unsustainable demand, but to determine what is the best possible method to address it." Further, the report says: "The government should also take a hard look at the subsidy. No programme can be sustained on subsidy. Even the villagers would not mind paying for a device provided they are convinced of its usefulness. The acceptance of the product is more important than the financial incentives provided." The failure of the programme is, to a large extent, a failure of technological application in a sphere of people's lives where cultural factors are extremely important. Though 30 models were designed in the last 17 years, the programme was insensitive towards local taste, cooking styles and menus. It is amazing: a country that boasts of sending its scientists to the moon cannot give women clean and efficient cooking stoves.